I love winter time for the fact that I can make and eat soup any time I like! Most of the soups I make tend to be more like a meal just like this Lamb Shank Soup. I make it in my slow cooker, but as I have proved with a couple of other dishes – anything you can make in a slow cooker you can make in a Camp Oven! This Lamb Shank Soup is more meal than soup and is sure to warm your insides up! With the exception of the zucchini and the pasta, put the whole lot into your slow cooker or camp oven. If cooking in a slow cooker, cook on low for at least 6 hours. If cooking in a camp oven, you will need to adjust your cooking time to the temp of your coals, but somewhere between 4 -5 hours should do the trick. In the last hour of cooking, add the zucchini and the pasta. You can add some extra water if needed. Serve with crusty bread or damper. Sounds yum. 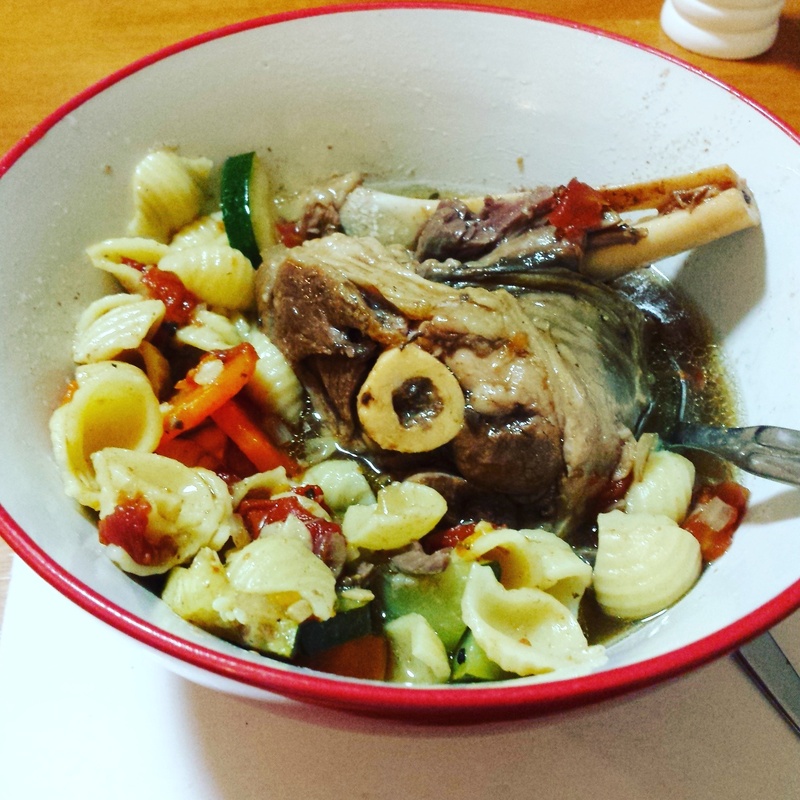 I made lamb shanks in the slow cooker the other day and had to go to 3 butchers before I could find any!!! It’s very hard to find anywhere with fresh ones. I just grabbed mine from Woolies and they were actually pretty good. Not to fatty and very tender. The meat was falling off the bone.